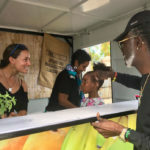 The St. Croix Foundation and the Coca Cola Company launched Farm-Tienda in partnership with local farmers on Friday at the Ann Abramson Pier in Frederiksted. 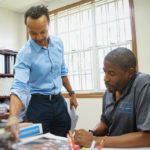 The project supports the agriculture sector on St. Croix by granting eligible farmers a durable and moveable “farm stand” for the expansion of their local business. 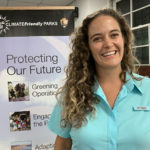 The latest episode of "The Vacation Rental Show," a series streamed in partnership with hotel booking giant Booking.com, showcases the beaches, sights, sounds, food and culture of St. John, hoping to entice some more visitors to the U.S. Virgin Islands. What’s the difference between a debit card and a credit card? 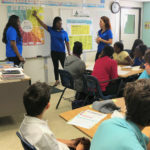 Every seventh-grade student who attends public school should now know the answer to that question, thanks to a program titled “Economics for Success” sponsored by Junior Achievement Virgin Islands. 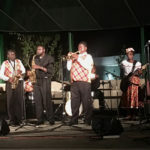 Roughly 20 months after the 2017 hurricanes, viNGN has 15 free hotspots around the territory, each with up to one gigabyte of shared bandwidth. Each hotspot serves users in the thousands daily, and the tens of thousands in a week. 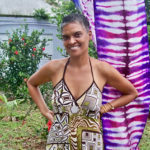 A new book offers a glimpse of life for women behind bars in the U.S. Virgin Islands. "Stitches & Time" is a collection of stories written by four female inmates of the Golden Grove Adult Correctional Facility. 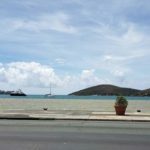 A burst 2-foot high pressure drinking water main right at the waterfront of Charlotte Amalie temporarily caused cloudy water in the harbor. Widespread rumors of a sewer spill are untrue. 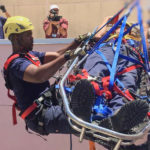 Last week, 16 members of the Virgin Islands Fire Service received just that, scaling the walls of Schneider Regional Medical Center on St. Thomas as part of a week-long course in technical rope rescue.